Arthur Harold Wimperis (3 December 1874 – 14 October 1953) was an English illustrator, playwright, lyricist and Academy Award-winning screenwriter. Wimperis was born in London, the son of Edmund Morison Wimperis and Anne Harry Edmonds. Educated at Dulwich College and University College London, he began a career as an illustrator on the Daily Graphic. This was soon interrupted by service in the Second Boer War from 1899 to 1902 with Paget's Horse. Wimperis then began a theatre writing career as a lyricist and librettist for Edwardian musical comedies in London. His first major show was The Dairymaids (1906), which was favourably reviewed by The Times, though the derivative nature of the plot was noted, as was the similarity between the lyrics for the song "Mary in the Dairy" and an earlier Punch magazine parody of a musical comedy number which contained the words, "Mary, Mary, managed a dairy". This similarity was attributed to the paucity of rhymes for Mary, rather than deliberate plagiarism. The show was followed by The Gay Gordons written with Seymour Hicks in 1907. He next contributed songs (including "The Pipes of Pan", "I've Got a Motter", "Arcady Is Always Young", and "Half Past Two") for one of the most popular musicals of the Edwardian age, The Arcadians (1909), as well as to the short-lived The Mountaineers. In addition to contributing lyrics or dialogue to other shows, he then began adapting Viennese operettas into English. The best-known of these are The Balkan Princess (1910) and The Girl in the Taxi (Die keusche Susanne; 1912). He also wrote for The Sunshine Girl (1912). Wimperis also wrote lyrics for reviews such as The Follies and The Passing Show of 1914, and many of his songs became music hall hits, such as "Gilbert the Filbert" and "I'll Make a Man of You". He served in the Royal Artillery as a temporary second lieutenant during the First World War, and then resumed playwriting and songwriting, including for My Lady Frayle (1916) and Pamela (1917). 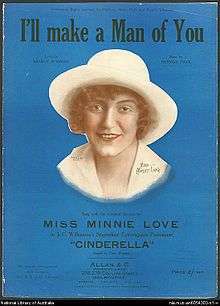 In 1925, he wrote the English-language adaptation of for the American production of Sigmund Romberg's Louie the Fourteenth, and the next year he had another hit with Princess Charming in London. His last London success was a vehicle for Binnie Hale in 1930 called Nippy. Wimperis also contributed lyrics and scenes to many other reviews and musicals in London and New York and created English-language adaptations of several French and German plays. Wimperis then wrote screenplays and additional dialogue for British films. His first major film was Harmony Heaven in 1930. His film career quickly began to flourish under the guidance of director and producer Alexander Korda. He collaborated on many screenplays with Lajos Bíró. Some of his best-known films of the 1930s were The Men of Tomorrow (1932), Wedding Rehearsal (1932), Cash (1933), The Private Life of Henry VIII (1933), The Private Life of Don Juan (1934), Catherine the Great (1934), The Scarlet Pimpernel (1934), Princess Charming (1934), Brewster's Millions (1935), Knight Without Armour (1937), The Divorce of Lady X (1938), The Drum (1938) and The Four Feathers (1939). Wimperis died in Maidenhead, Berkshire, England at the age of 78. ↑ "Edmund Walter Wimperis", Dictionary of Scottish Architects, accessed September 24, 2016; and Dodgson, Campbell. "Wimperis, Edmund Morison" in Sidney Lee, Dictionary of National Biography, 1901 supplement, London: Smith, Elder & Co.
↑ The London Gazette: (Supplement) no. 32571. p. 264. 9 January 1922. Retrieved 6 October 2008.